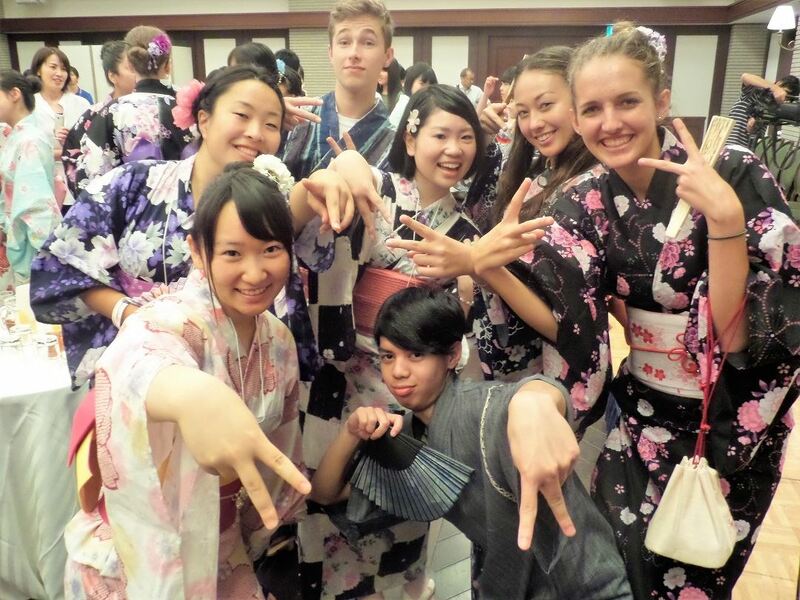 The Japan America Society of Southern California is accepting applications from high school students to participate in the 8th TOMODACHI MUFG International Exchange Program, a two-week people-to-people exchange and learning program in early summer 2019. Hosted by the U.S.-Japan Council (Japan) TOMODACHI Initiative and sponsored by Mitsubishi UFJ Financial Group (MUFG), including MUFG Bank, Ltd. and MUFG Union Bank, N.A., the exchange program offers a homestay experience with a Japanese family, visits to cities affected by the 2011 earthquake and tsunami, as well as educational and cultural visits to the cities of Tokyo and Hiroshima. The purpose of the exchange program is to enhance the students’ understanding of Japan, its people, language, culture and to learn about the challenges for a sustainable society as well as leadership. The program expenses are provided by MUFG. For more information, download and read the following documents. Teacher Recommendation Form (Must be submitted by the teacher - typed) - Please download the form onto your computer's "desktop" or "download" folder (not "Temp" folder, as the contents you type in may be deleted) and rename the file to "Recommendation Form - Last Name, First Name" using the applicant's name. Please review your attachment contents prior to sending the document. Any incomplete or illegible forms will not be considered, and the applicant will be disqualified if all of the required documents are not submitted properly before the deadline. Photographs of your applications are not acceptable. Please scan your application forms and send them as PDF, not JPG files. Upon receiving the application forms, a confirmation email will be sent. Mitsubishi UFJ Financial Group, Inc. (MUFG) is one of the world’s leading financial groups. Headquartered in Tokyo and with over 360 years of history, MUFG has a global network with over 1,800 locations in more than 50 countries. The Group has over 150,000 employees and offers services including commercial banking, trust banking, securities, credit cards, consumer finance, asset management, and leasing. The Group aims to “be the world’s most trusted financial group” through close collaboration among our operating companies and flexibly respond to all of the financial needs of our customers, serving society, and fostering shared and sustainable growth for a better world. MUFG’s shares trade on the Tokyo, Nagoya, and New York stock exchanges. For more information, visit https://www.mufg.jp/english. As of September 30, 2018, MUFG Union Bank, N.A. operated 354 branches, consisting primarily of retail banking branches in the West Coast states, along with commercial branches in Texas, Illinois, New York, and Georgia, as well as 22 PurePoint ® Financial Centers. We provide a wide spectrum of corporate, commercial, and retail banking and wealth management solutions to meet the needs of customers. We also offer an extensive portfolio of value-added solutions for customers, including investment banking, personal and corporate trust, global custody, transaction banking, capital markets, and other services. With assets of $124.0 billion, as of September 30, 2018, MUFG Union Bank has strong capital reserves, credit ratings and capital ratios relative to peer banks. MUFG Union Bank is a proud member of the Mitsubishi UFJ Financial Group (NYSE: MUFG), one of the world’s largest financial organizations with total assets of approximately ¥306.4 trillion (JPY) or $2.7 trillion (USD)¹, as of September 30, 2018. The corporate headquarters (principal executive office) for MUFG Americas Holdings Corporation, which is the financial holding company, and MUFG Union Bank, is in New York City. The main banking office of MUFG Union Bank is in San Francisco, California. The TOMODACHI Initiative is a public-private partnership between the U.S.-Japan Council and the U.S. Embassy in Tokyo and it is supported by the Government of Japan. 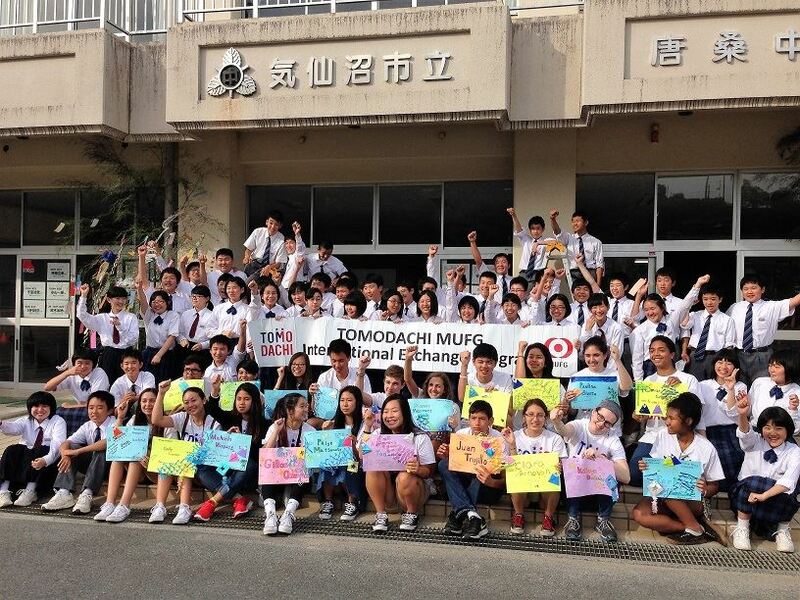 Born out of support for Japan’s recovery from the Great East Japan Earthquake, TOMODACHI invests in the next generation of Japanese and American leaders through educational and cultural exchanges, as well as leadership programs. The Japan America Society of Southern California (JASSC) was founded as a membership organization in 1909 to build economic, cultural, governmental, and personal relationships between the people of Japan and America. It has grown to become the West Coast’s premier educational and public affairs forum dedicated to the United States-Japan relationship by offering unique opportunities to become involved in the business and cultural relationship between the two countries. JASSC is a qualified 501(c)(3) nonprofit, charitable and educational organization and it is supported by 140 Japanese and American corporation members and more than 2,000 individual members. Visit www.jas-socal.org for more information. The Experiment in International Living (EIL), founded in 1932, was one of the first programs of its kind to engage individuals in intercultural living and learning. Originating in the United States, EIL introduced the ‘homestay’ concept to the world by carefully preparing and placing “Experimenters” in the homes of host families abroad for a firsthand exposure to culture and language. Japanese Association of The Experiment in International Living was established in 1956 and has provided various programs including high school exchange programs, short homestay programs and other international and intercultural programs. Visit www.eiljapan.org for more information.